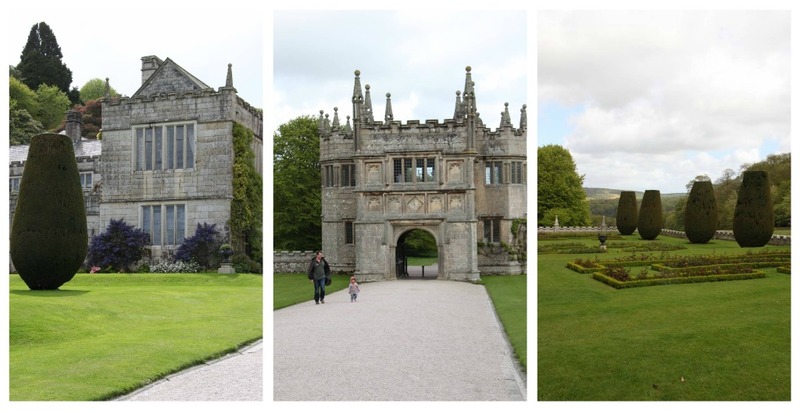 While we spent a lot of our time exploring the beautiful Northern coast, we visited a few wonderful places inland, starting with the glorious National Trust property, Lanhydrock House. I have vague recollections of visiting on a school week in Bude when I was about 14 (!) but it’s clearly developed a lot since then. We’d heard good things about their mountain biking woods, so headed straight to the new bike hire hub to find out more. Within minutes, we were kitted out with excellent quality bikes and helmets and directed to the wide range of trails. With Alex on his own little bike, we decided to stick to the entry level trail. 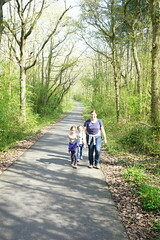 It was fabulous – a really well maintained route, in lush woodland with occasional sweeping views of the countryside. 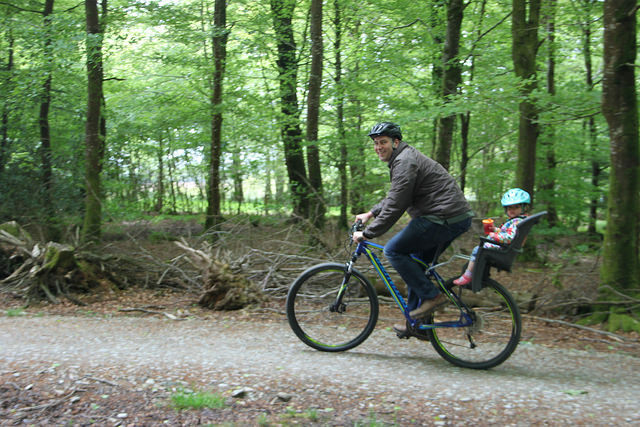 Matt and I loved it – and Sophie was very happy on the back of the bike. 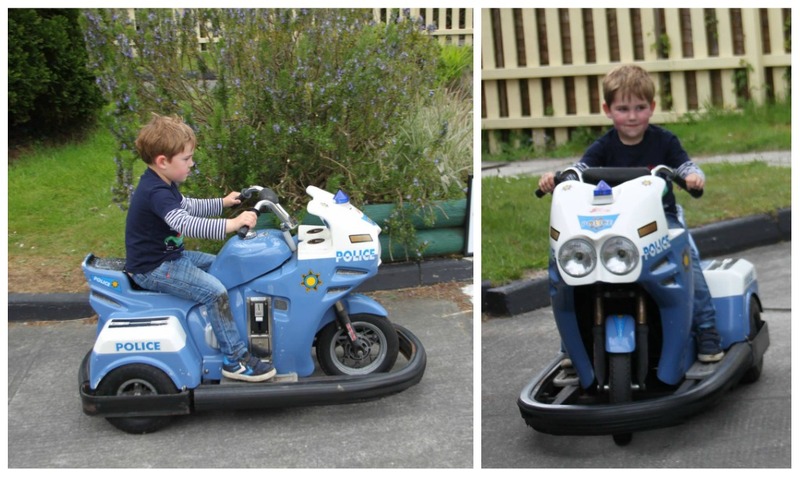 Alex, on the otherhand, really missed his own bike, and found the braking approach on the hire bike too confusing (he had to peddle backwards) – so he got quite upset going around the course which was such a shame. 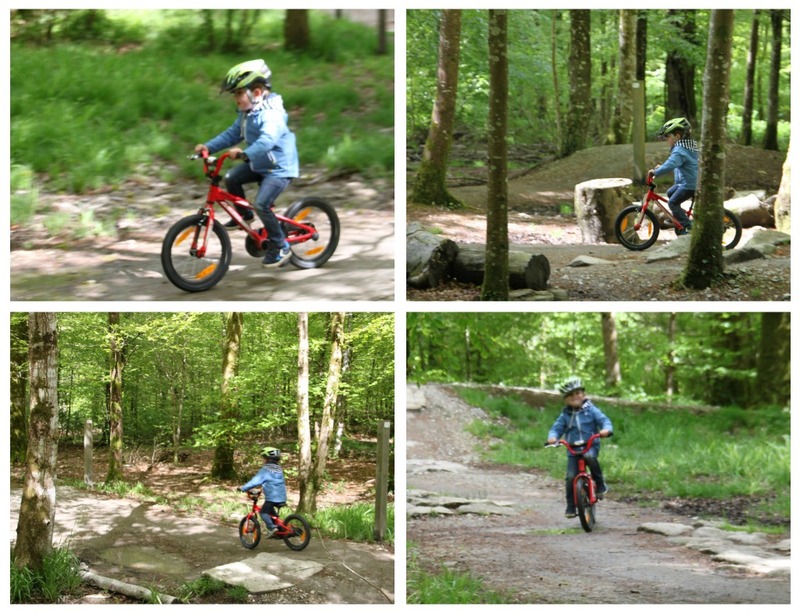 Thankfully, he perked up a bit when we completed the main route, and had much more fun on the skills course – loving the banks, bumps and “moguls”! Phew. Sophie preferred navigating the skills course on foot. She’s looking so grown up! Matt and I took it in turns to try a slightly harder route while the children played on the practice area and both loved the short spell of freedom and speed. 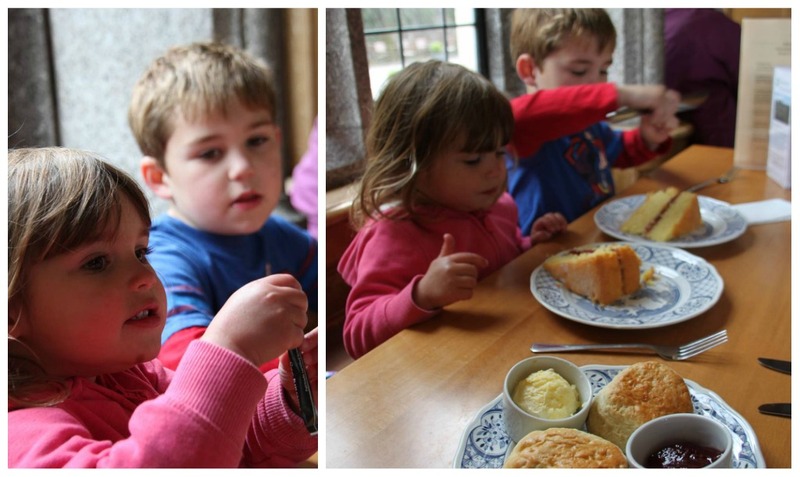 Can’t wait to get back to Lanhydrock when the children are a bit older and more bike-confident! 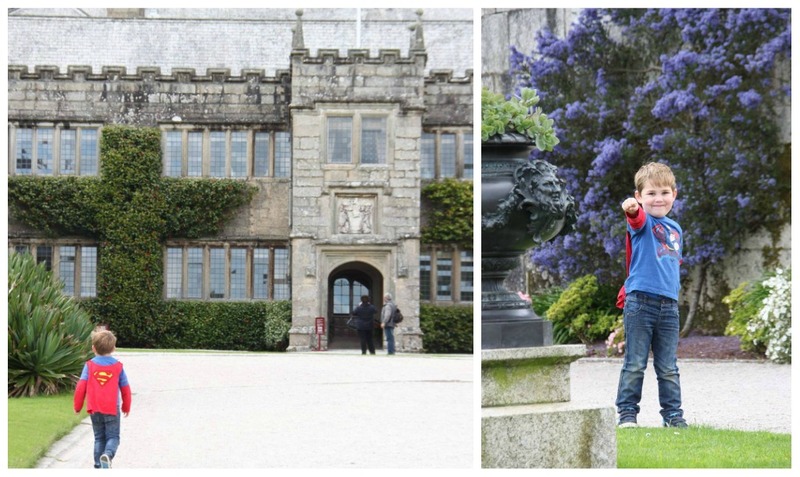 After we’d reluctantly returned the bikes, we wandered down the long path to Lanhydrock House itself. 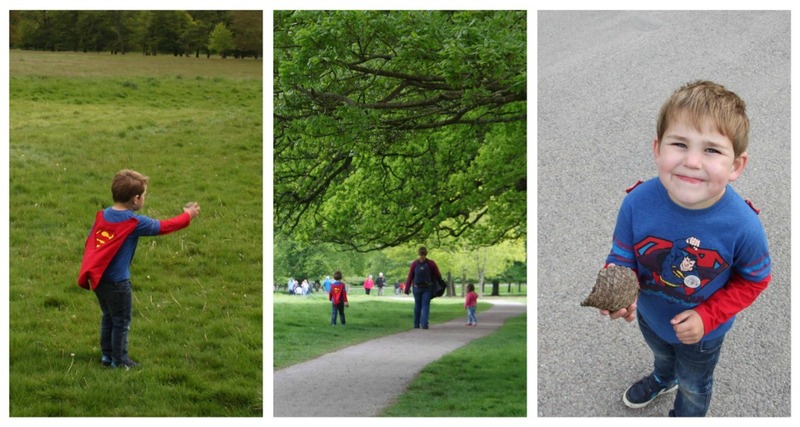 Thankfully it was downhill as it was quite a trek for little legs. We searched for pine cones along the way – Alex proudly finding the “biggest pine cone ever”. The House was as beautiful as I remember although, as usual on our National Trust visits with our pre-schoolers, we weren’t really brave enough to go inside. So we admired it from the perimeter! Love the bizarre shaped bushes! We did make it indoors to the cafe to reward ourselves with a big slab of cake and a proper Cream Tea. A sweet end to a lovely day. 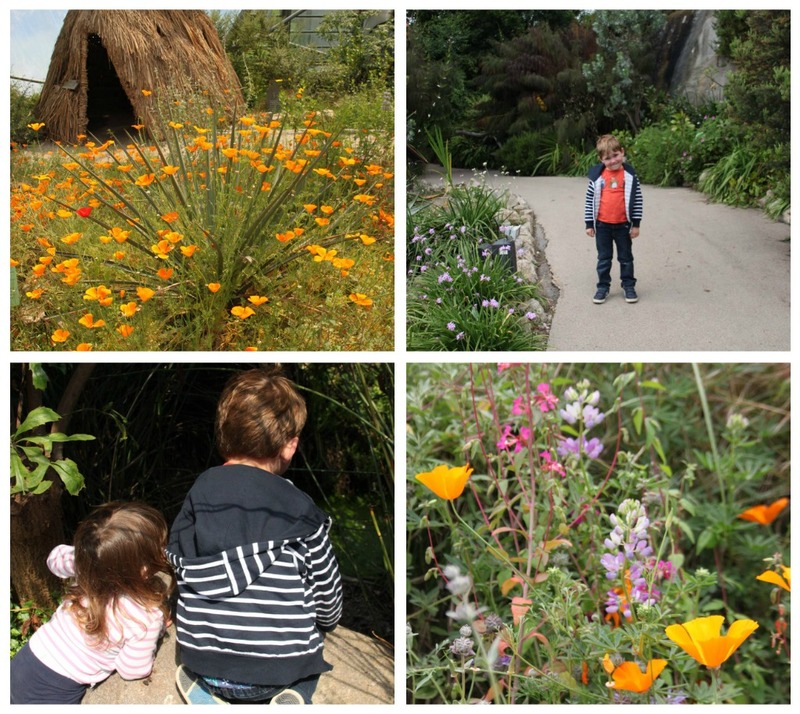 In the middle of our trip to the South West, the weather looked particularly threatening, so we took the opportunity to visit The Eden Project for the first time. Matt and I have wanted to go for ages and I’m so glad we’ve finally made it. 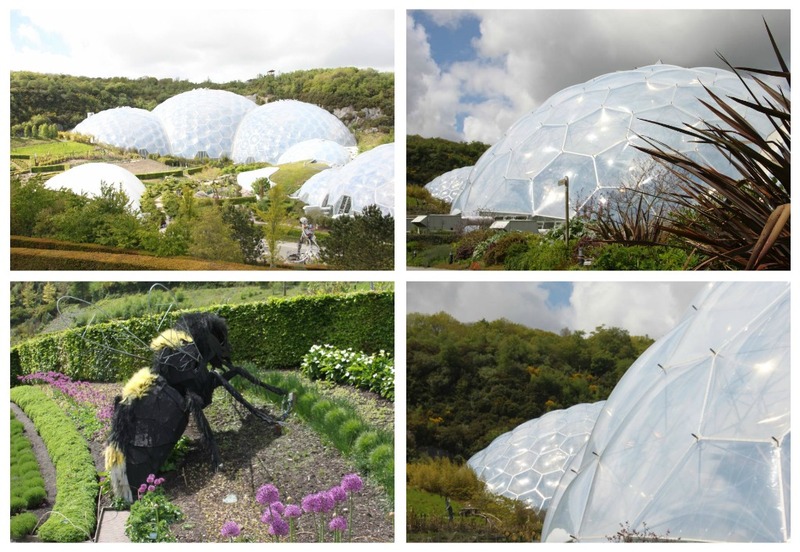 It is such a bizarre site on the Cornish landscape, with enormous domes peaking out from beautifully landscaped gardens. 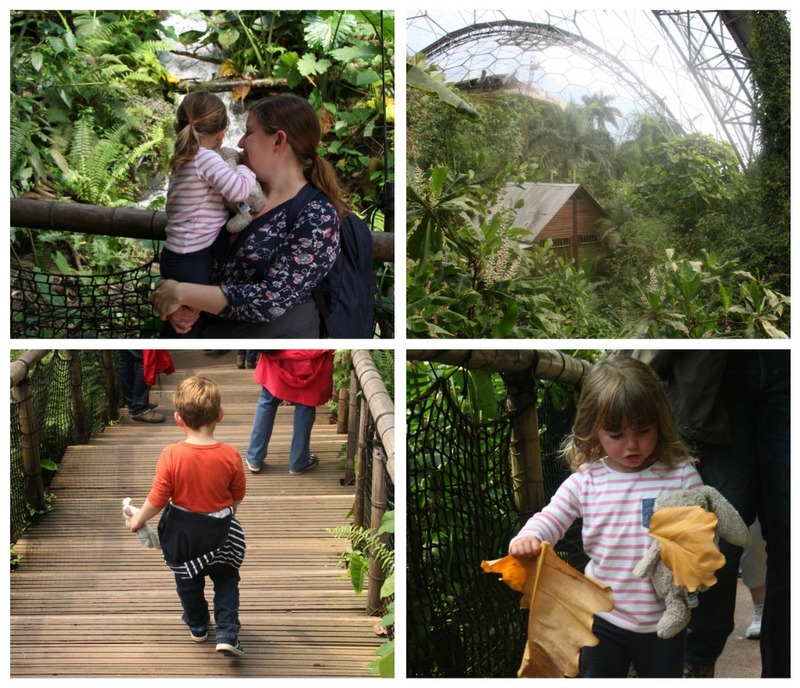 The children were thrilled at the prospect of going inside bubbles, so we started our visit in the biggest one of all – the Rainforest Biome. Matt and I found it fascinating with some amazing flowers and plants – but the children weren’t massive fans of the heat, so it became a bit of a march to rush two whining children through the route and out again! 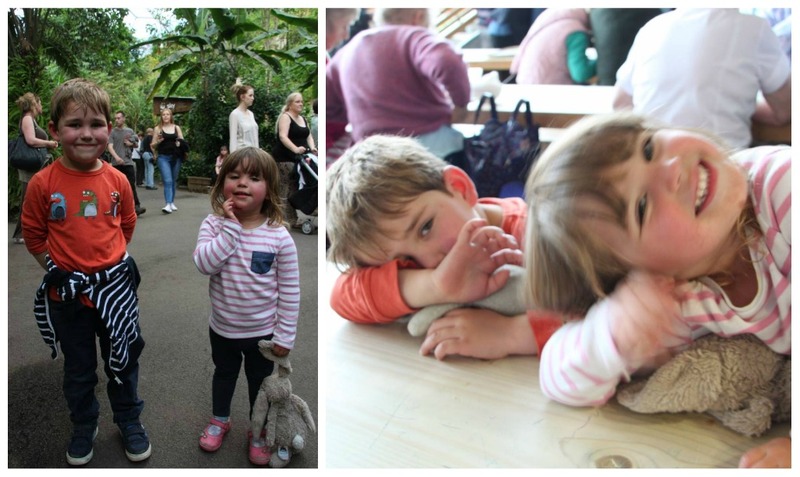 They were much more content in the Mediterranean Biome after lunch which was the perfect temperature. I loved it in there – stunning flowers, comfortably warm and the delicious smell of the Italian restaurant adding to the authentic atmosphere! 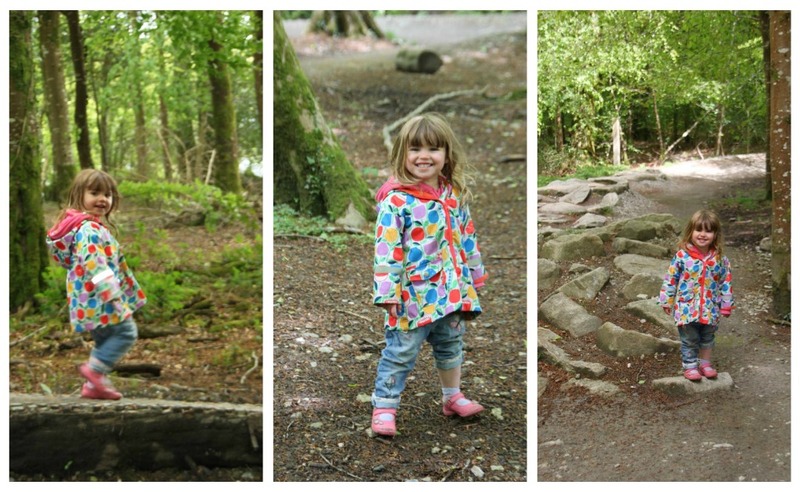 After the brilliant biomes, we whiled away an hour exploring the extensive grounds. Dotted around the site were occasional games and things to do – like this lovely xylophone. 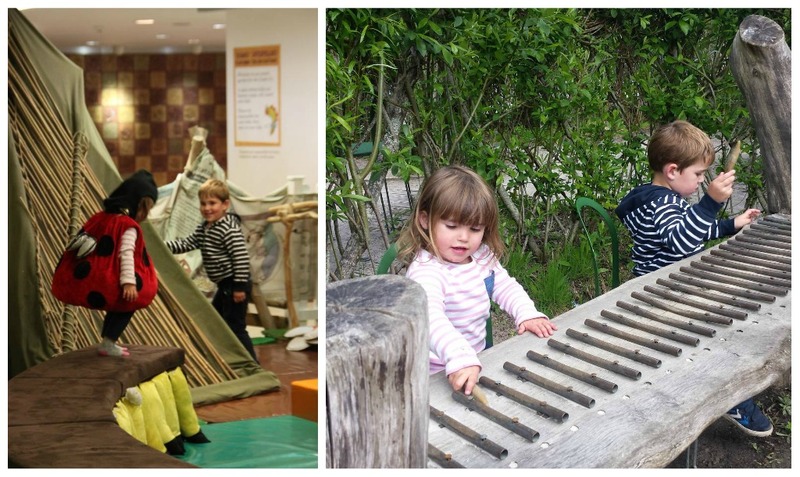 And we really enjoyed exploring The Core – an interactive space, complete with a softplay with dressing up clothes. Sophie transformed into a ladybird but sadly wouldn’t stop running around long enough for her to take a decent picture of her. She looked hilarious! 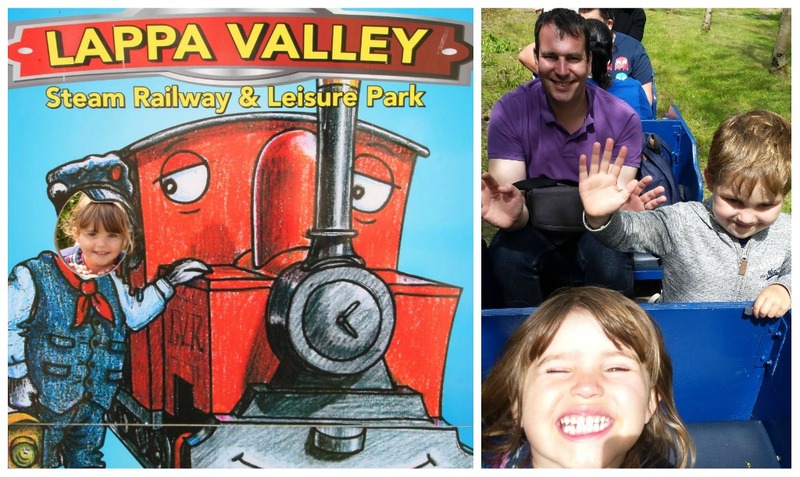 Towards the end of the week, we visited Lappa Valley – a haven for little train enthusiasts! It really was a day for Alex and Sophie, but Matt and I had much more fun than we expected to! I was expecting a bit of a tacky load of train rides, but clearly hadn’t read the promotional material very well as the site was really beautiful and packed full of history. 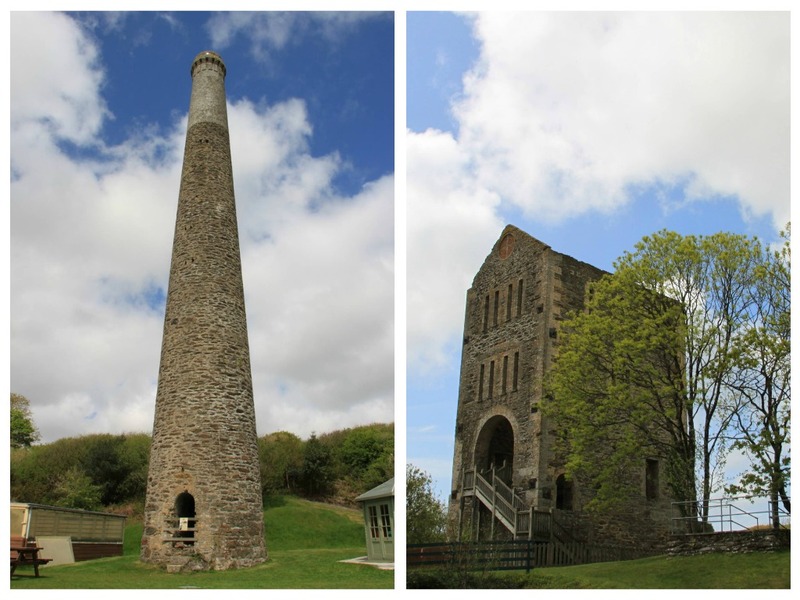 We loved seeing the old mining buildings and reading the fascinating history of the location. 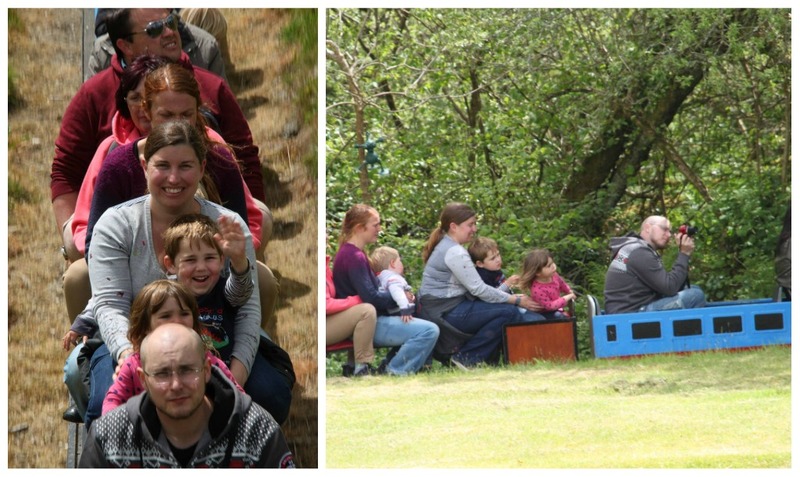 Of course there are a few train rides, but they enabled us to explore the woodland on the site – they were rather good fun! 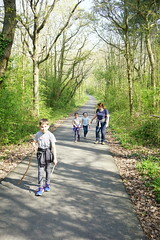 And some lovely trails in the woods – Alex and Sophie ran and ran, seemingly never running out of energy all day! 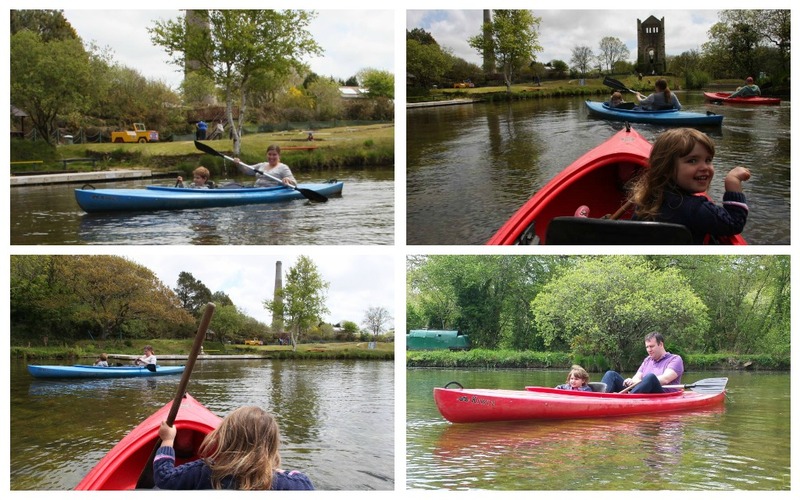 My favourite thing was the little lake where you could pick up a canoe as often as your wanted for a leisurely paddle. Alex loved his first rowing experience, as did Sophie – who confused us all by telling us repeatedly that she’d lost her bagel. It took us a while to realise she meant her paddle! Poor Matt had to scour his route to find it again! 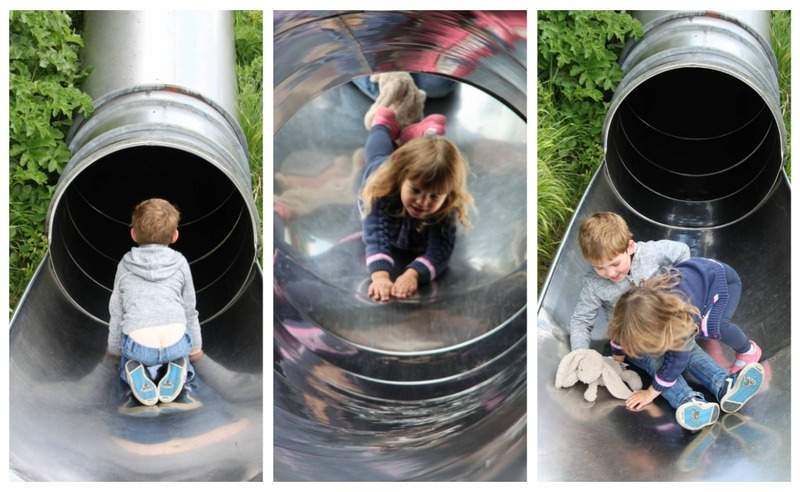 There was an enormous adventure playground which gave Matt and I a very leisurely lunch as the children could confidently explore on their own. And even a little golf course. Alex cheated appallingly! It was a little gem of a park in another lovely location. 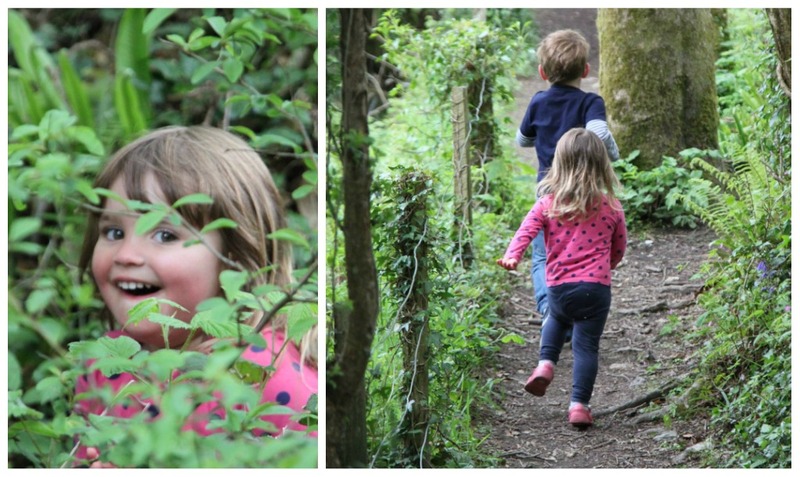 We were reflecting last week that we could easily have spent another week in Cornwall, there was just so much to see and do – so expect to have to read about future holidays in the South West! You look like you really enjoyed your holiday here in Cornwall, you managed to fit in some fab places to expore in your week. It’s great to see Alex trying out the practice loop, he looks like he’s really enjoying himself. Sophie looks like she’s enjoying her time exploring the woods too. It’s great to see you all enjoying your trip to Lappa, it’s so family orientated. 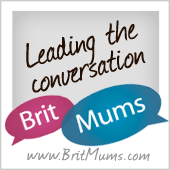 Thanks for linking up all your Cornish fun with Country Kids.